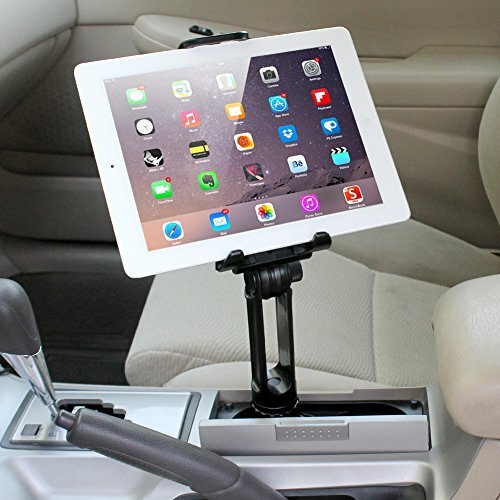 OPTIMAL MOUNTING SOLUTION: Easily and safely access your smartphone or tablet while operating a vehicle. 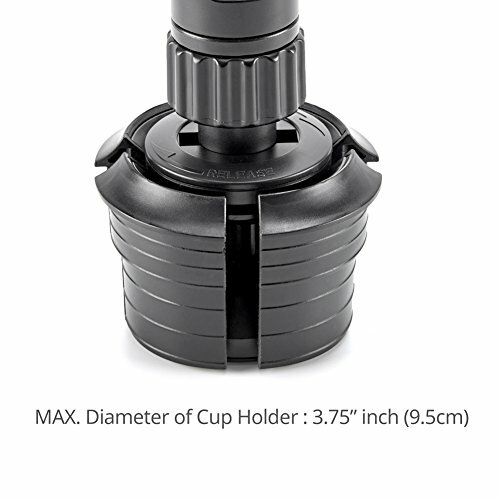 Secure mount to most vehicle cup holder. 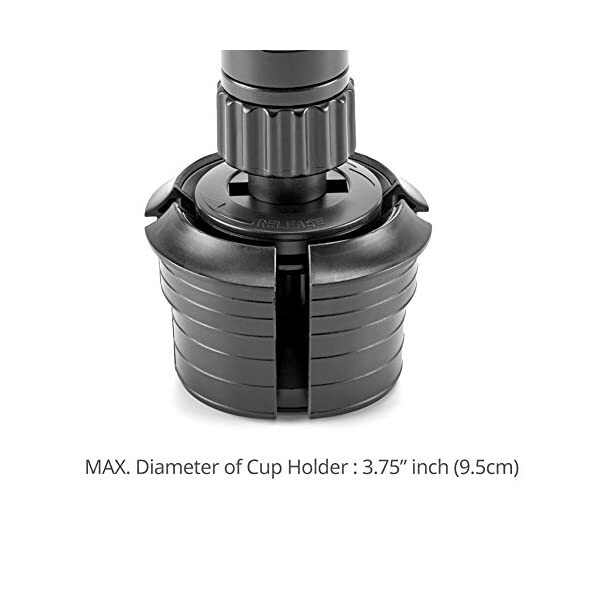 EASY INSTALLATION: Expandable base fits most automobiles, recreational vehicles, trucks and other vehicles with standard size round cup holders. Tool-less and simple installation/removal in seconds. 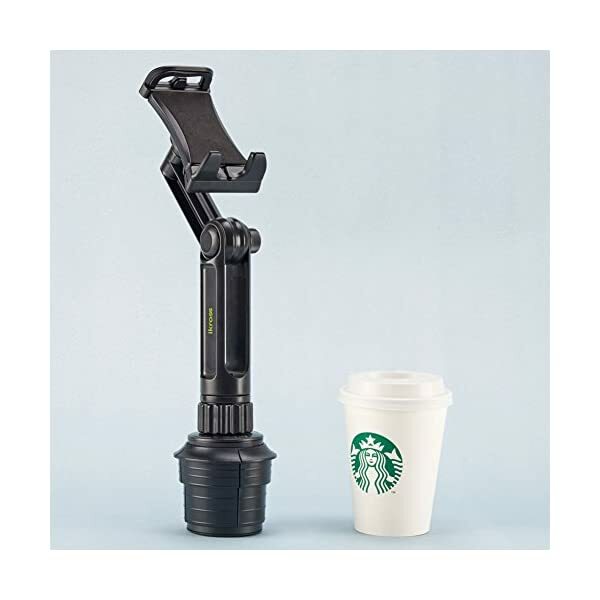 Fits most vehicles standard cup holders. 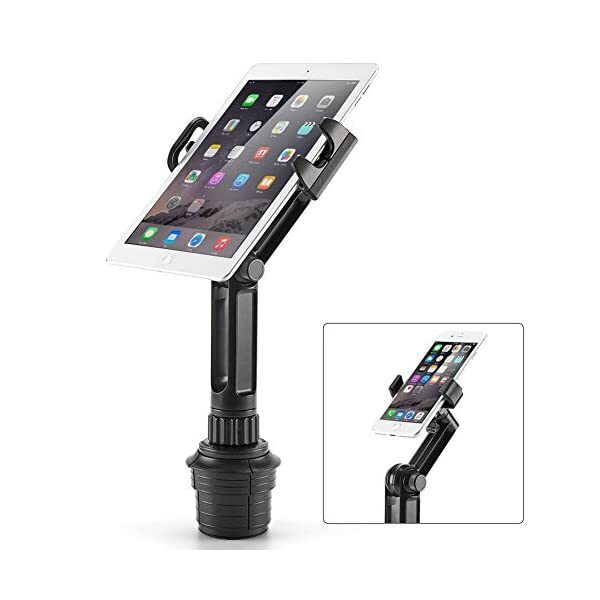 • Adjustable angle and positioning for optimum viewing. 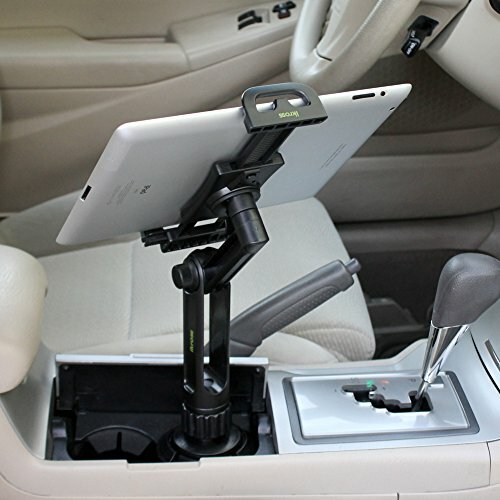 • Solid construction and swing arm designed to minimize vehicle vibration for stable viewing. 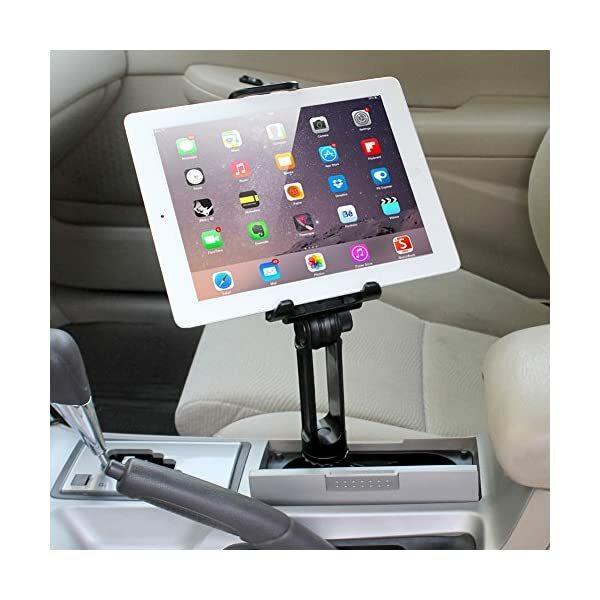 • Includes interchangeble tablet and smartphone device holders. 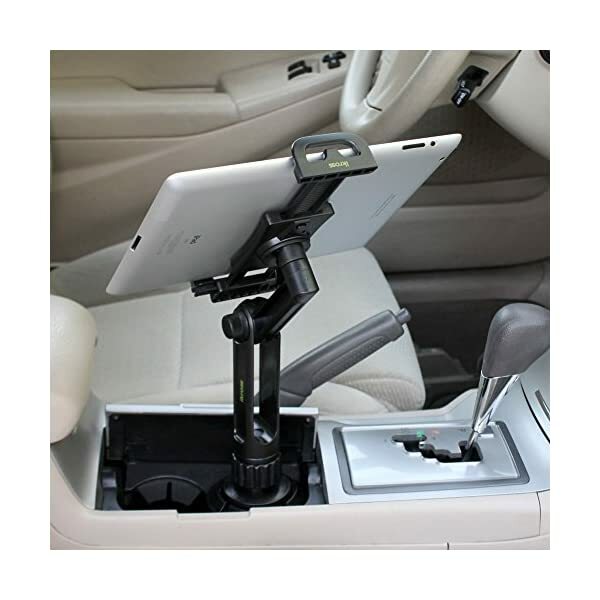 • Package includes: 1x cup mount, 1x cellphone holder, 1x tablet holder & quick installation instructions. With over 8 years in the business of developing electronic accessories, the iKross team works together to deliver premium quality products and customer support. iKross products are guaranteed to be free of defects in material and workmanship for a period of one year when purchased from authorized retailers. 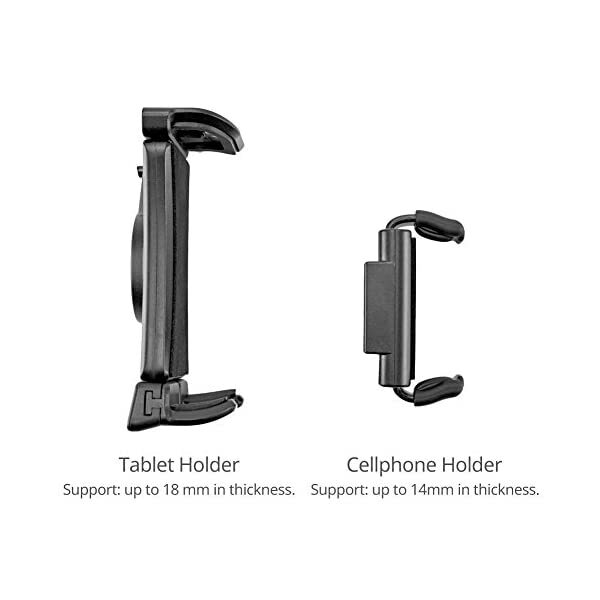 Fits tablets & iPad ranging from 7 to 10.2 inches. 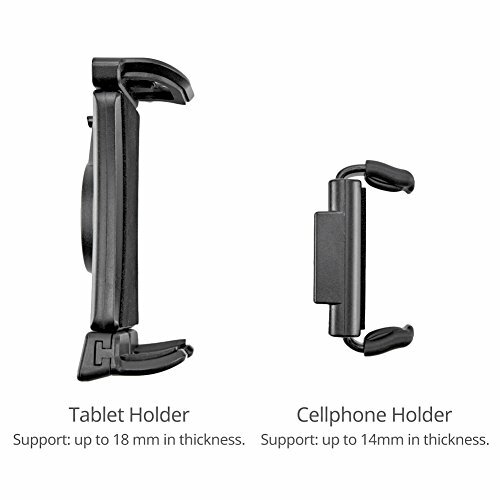 Lock and release button on the back of the holder for one top and spring loaded bottom support for quick insertion and removal of your tablet. 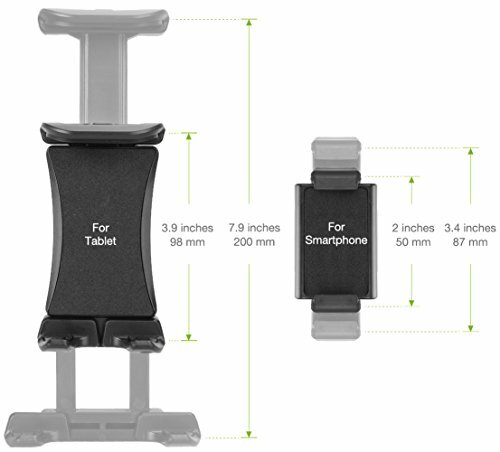 Simply press the release button and extend the top arm, insert your tablet as you push down bottom clamp arm.Push the top arm to lock. Larger tablets 8-10.2 inch (such as the iPad Air) only fit inserted by the device width. 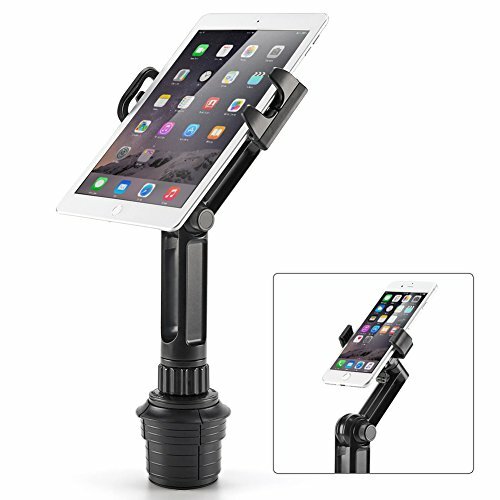 They can be positioned 360 degrees using the holder adjustment. 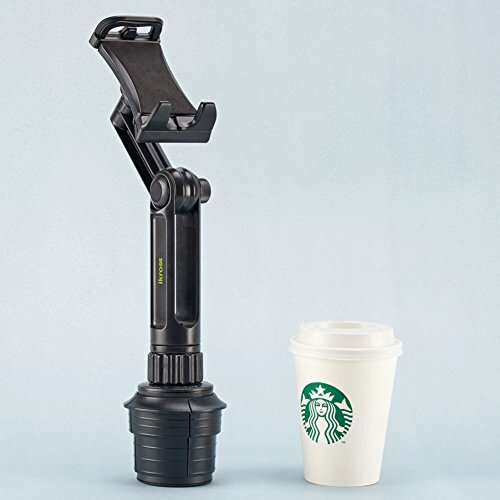 – Mount base twists to extend and adjust to round vehicle cup holders ranging from 2.7-inch (67-millimeter) to 3.75-inch (95-millimeter) for a secure and stable fit.